📍Samsung Galaxy S8 Plus/Note 8 and more. To enjoy all these, visit link bit.ly/MTNPulsePlaysCupid to write a love note to your intended valentine. 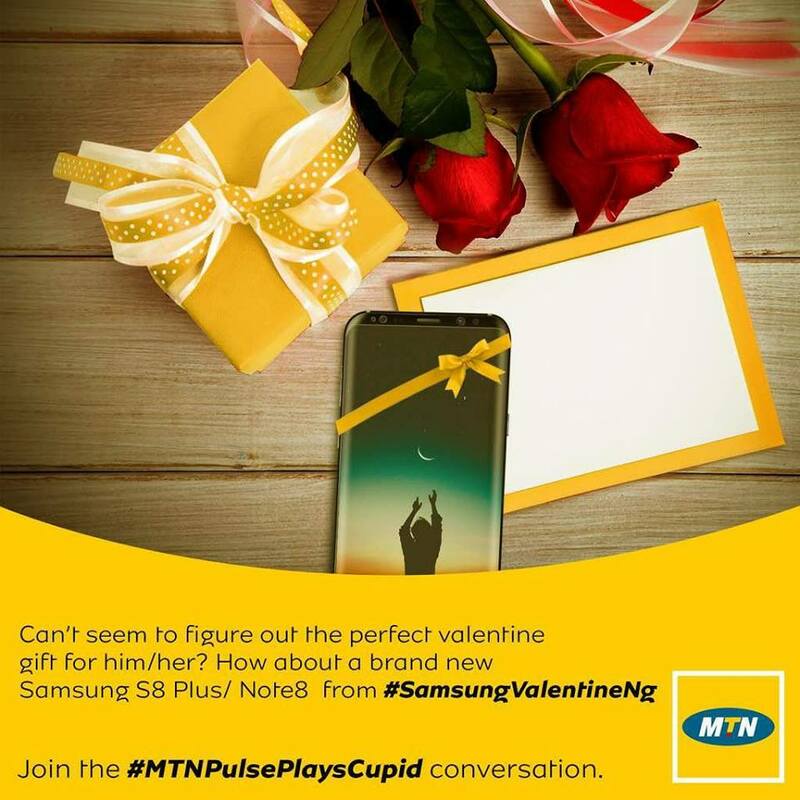 Submit and Share using #mtnpulseplayscupid #samsungvalentineNG and let us take care of the rest this #valentine. Contest is Ends in February, 2018.